We are pleased to share foosye® was selected to participate in the Demo Room of this year’s CED Tech Venture Conference. Held September 13th and 14th, the CED Tech Venture Conference event features over 90 local companies at the Raleigh Convention Center. Stop by the foosye® demo to learn about how we are forever changing the mobile food industry! It’s not too late to register! On-site Registration will be available at the Raleigh Convention Center starting Tuesday, September 13 at 11:00am. 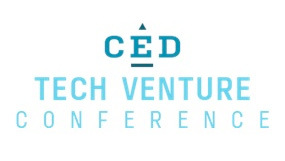 From early startups to growth-stage companies to highly successful businesses, the CED Tech Venture Conference reflects North Carolina’s vibrant entrepreneurial community and showcases many of the most promising emerging companies in the region. Attendees will have the opportunity to connect with a diverse group of over 100 investors, from venture capital to corporate to angels, including funds such as Sequoia Capital, Greycroft, Grotech Ventures, and Comcast Ventures. Engage with industry leaders, radical thinkers and trail-blazing entrepreneurs, and learn about the disruptive innovations that are transforming the ways in which we live, work and play. On-site Registration will be open Sept 13, 11:00am-6:00pm and Sept 14, 8:00am-12:30pm.